Lots of things from the first film will be returning to the second film. Except the director. It has been nearly 6 years since we last left Alice in Wonderland. Or should we say Underland. Now, it’s time for us to go back with the second Alice film. Alice Through The Looking Glass is the sequel that will follow Alice’s return to Underland to try and save the Mad Matter from certain trials. 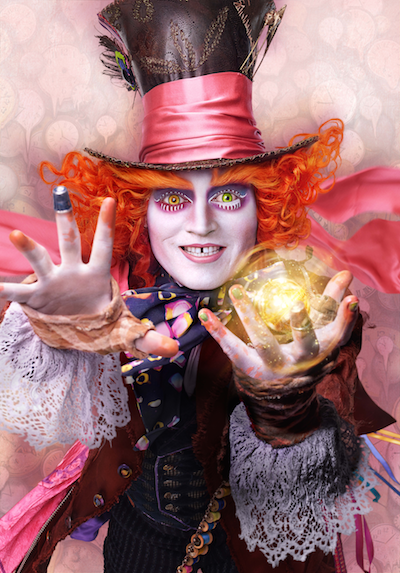 Johnny Depp returns as the Mad Hatter and Mia Wasikowska back as Alice (Kingsleigh). Linda Woolverton also comes back as the film’s screenwriter, as well as Danny Elfman who’ll write new music. One person who won’t be returning from the first film is the director Tim Burton. He’ll take a producing role for the sequel with director responsibilities being handed off to James Bobin. Bobin’s past Disney films were the most recent two Muppet movies. Based on the trailer, Bobin does retain the rich visuals that Burton gave. Bobin’s kick for humor based on past experience with humorous films like The Muppets will most likely find its way in (especially with Sasha Baron Cohen re-casted as Time. Alice Through The Looking Glass comes to theaters on May 27, 2016. Next story Jedi Daniel Fleetwood is the first person in the general public to see Star Wars Episode 7.